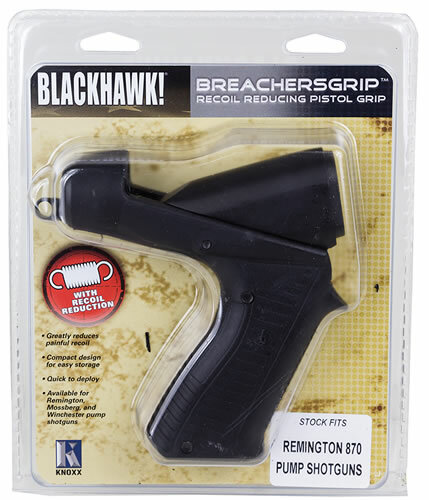 The BreachersGrip recoil-reducing pistol grip stock cuts recoil by over 65% due to the integrated recoil-reduction system which makes firing breaching rounds or heavy-hitting shotgun loads virtually painless. This ergonomic pistol grip stock is perfect for one-handed operation in close-quarter combat or home defense. 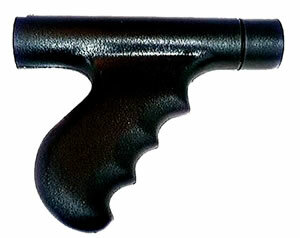 Made from high strength fiberglass-reinforced polymers and metal alloys for durability, it has an installed sling swivel stud.